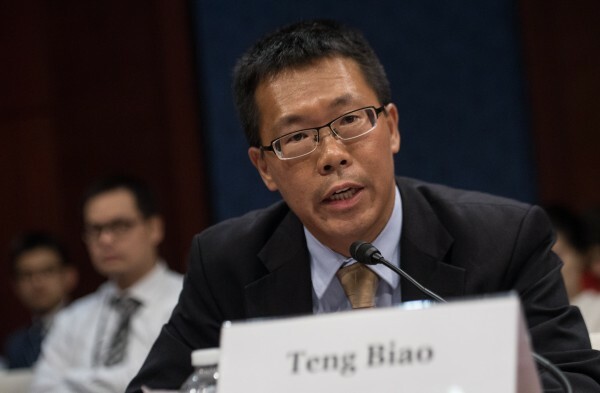 (TibetanReview.net, May07, 2016) – Well known Chinese human rights activist and lawyer Dr Teng Biao has said May 5 that his government was neither serious nor sincere in its talks and that the middle way demand for autonomy, not independence, should not be the only voice in the Tibetan struggle for freedom. He made the remark while speaking on ‘China’s democratization and the future of Tibet’ at Dharamshala, India, adding he had shared this thought earlier with the Dalai Lama too. Dr Teng, 43, was a co-founder of the Open Constitution Initiative (Chinese: Gongmeng) which carried out a covert investigation of the situation in Tibet after the 2008 uprising protests there. Its report was a severe indictment of the Chinese leadership, their policies in Tibet, and the aristocratism of the local party leaders there. Dr Teng felt that the voice of independence should not be suppressed; that it was good to have more voices, radical and independent. He also said the Communist Party was not as powerful and confident as projected, that its leadership were fearful of human rights movements and revolutions. He felt that the party might lose power or may be on way of losing control over the next 5-10 years, leading to the formation of a democratic government. Dr Teng, formerly a Lecturer at the China University of Political Science and Law, is currently a visiting Fellow at Harvard Law School, Yale Law School, NYU and the Chinese University of Hong Kong. The talk was organized by the Tibetan Centre for Human Rights and Democracy and International Tibet Network.